Bleeding gums – Gums should never bleed, even if you brush vigorously or use dental floss. Red and puffy gums – Gums should never be red or swollen. Gum tissue should be pink and firm. Tenderness or Discomfort – Plaque, calculus (tartar) and bacteria toxins irritate the gums and teeth. New spacing between teeth – When bone and gum tissue is lost, the teeth become mobile. This movement cause spaces in between the teeth. Constant bad breath – Caused by bacteria infection in the gum tissue around the teeth. Pus around the teeth and gums – The pus is a sign of the bacterial infection. Receding gums – Loss of gum tissue around a tooth. Dr. Nugent is a Family Dentist in Pasadena, Texas. Our office has been serving Pasadena and Deer Park for over 50 years. 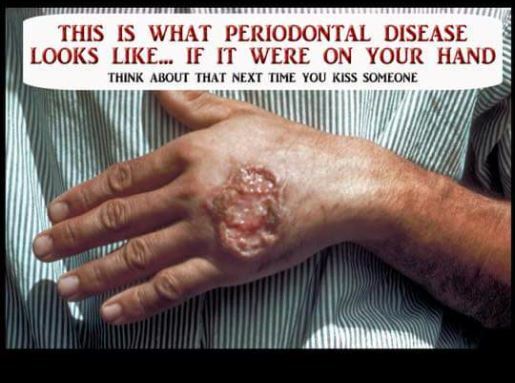 If you have signs of Periodontal Disease call our office today. Let us get you back to perfect dental health. Visit us at 3421 Burke Rd Ste A, Pasadena, Texas 77504.